Have you ever wanted to disseminate information around the office or to your employees in your business? 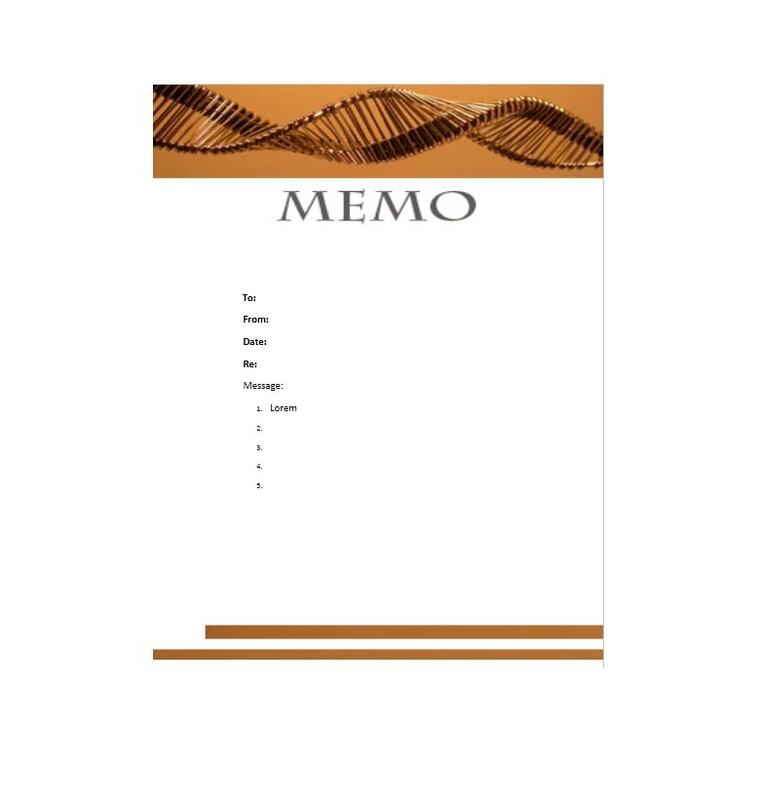 Then try coming up with a memo. 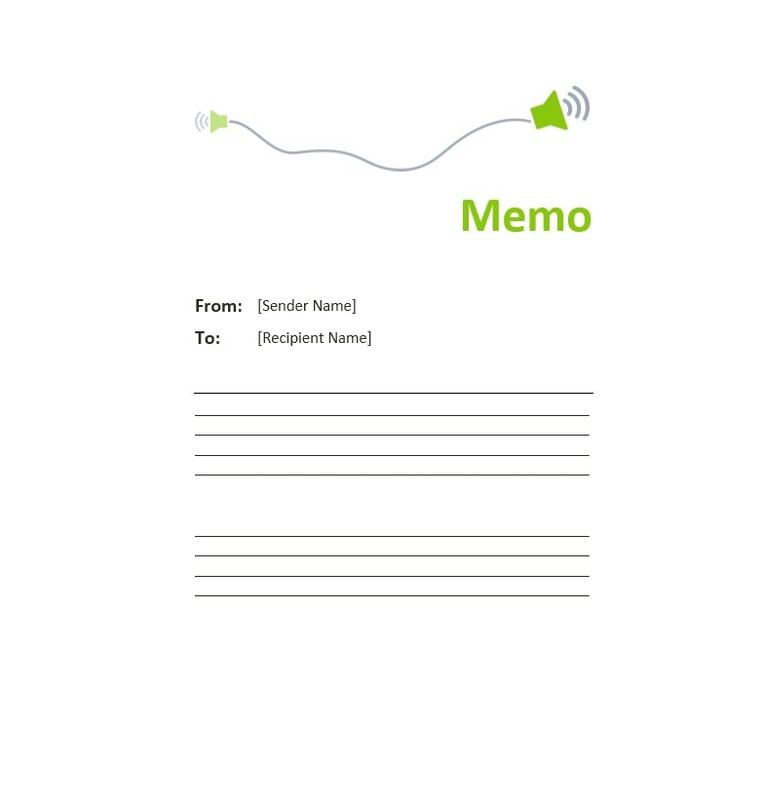 Simply put, a memo is a short, concise message or document which is used for communication in an office or a business. 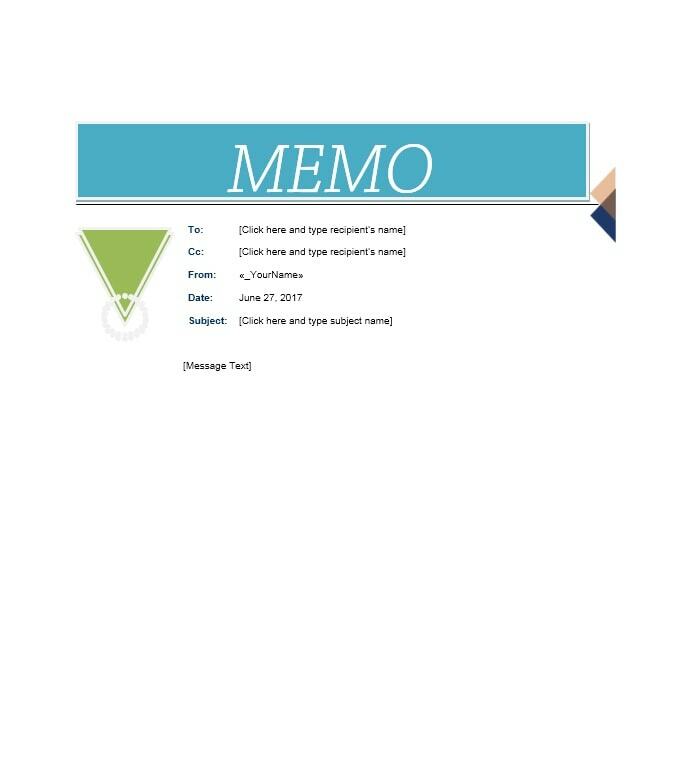 Memos are very important so you should know how to make a good memo template or business memo template so you can start spreading messages internally in your office or your business. 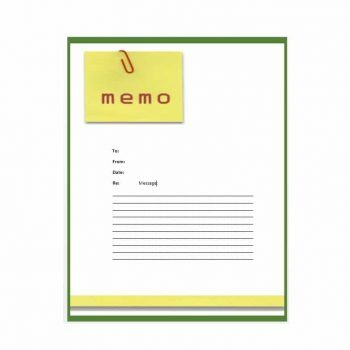 The most effective kinds of memos must be short, to the point, very organized and given on time. It should be able to give enough information that the reader won’t have any questions after reading it. 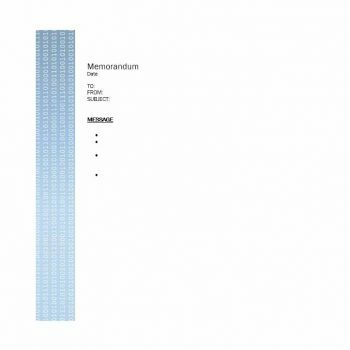 Memo has its origin from the Latin word memorandum, which is a noun and has the same root as the word memorare. Memorare then means to mention, recount or call to mind – which is also the similar definition of the word memory. This means that it can also serve as a reminder for people of something important. 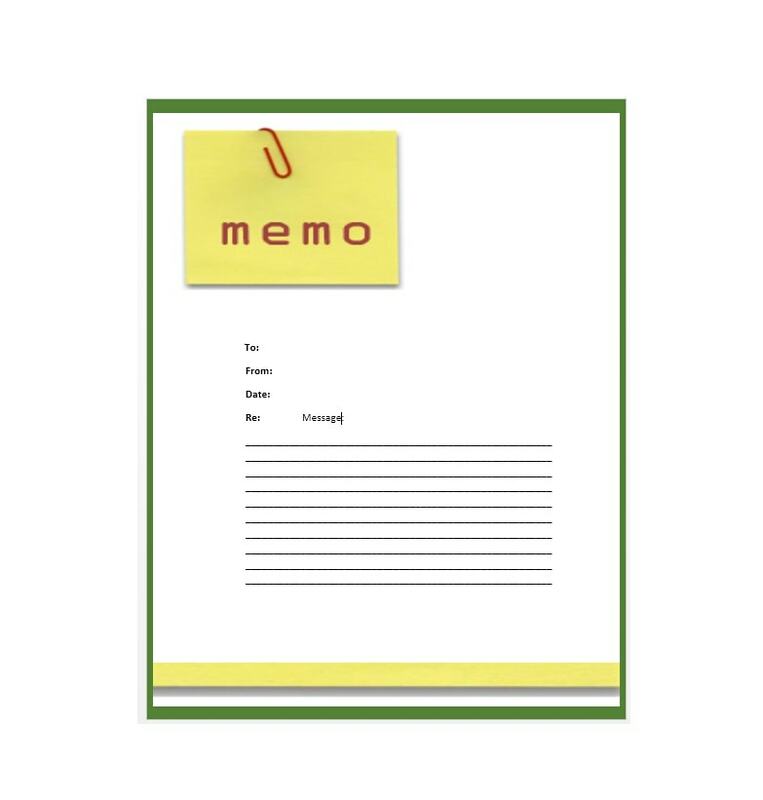 In the office or business setting, memos are given to employees internally as a form of written communication. 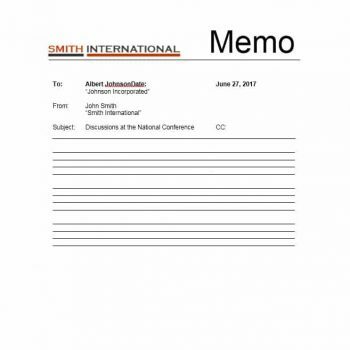 Information which must be formally documented is usually presented in the form of a memo to highlight its importance. 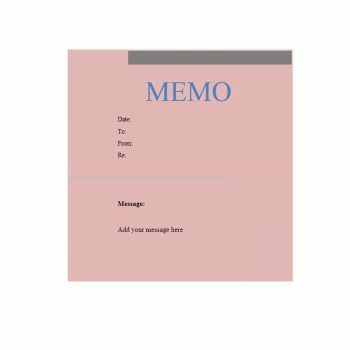 There is a lot to learn about memos and in this article, you will learn all about the uses and purposes for giving out memos, types of memos as well as how to make your own business memo template. 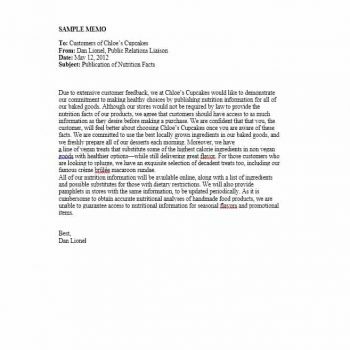 Read on and be guided by all you need to know about memos. 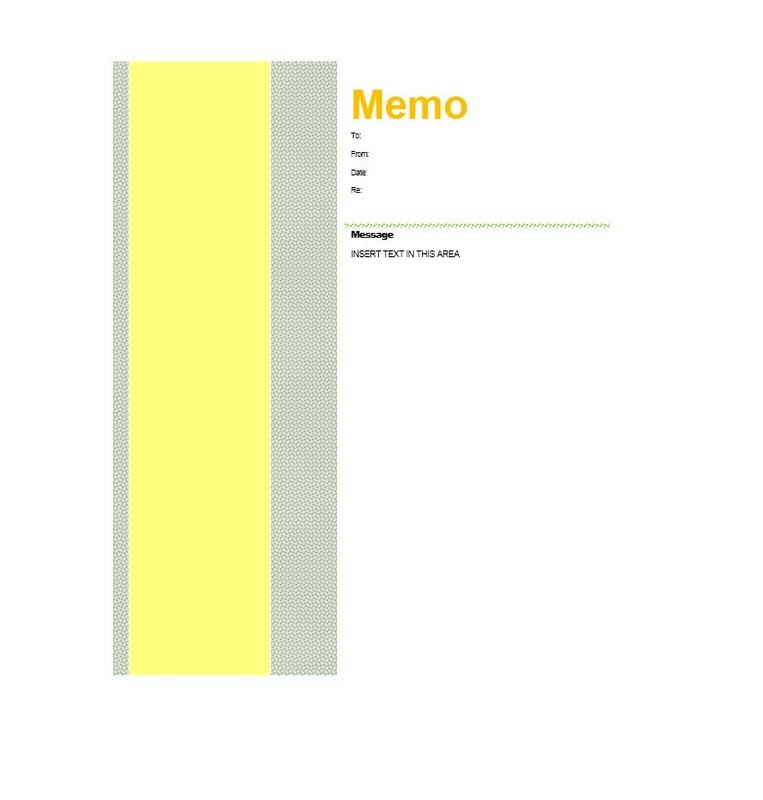 Before you start creating your own memo template, it would be useful to know what the general purposes of a memo are. 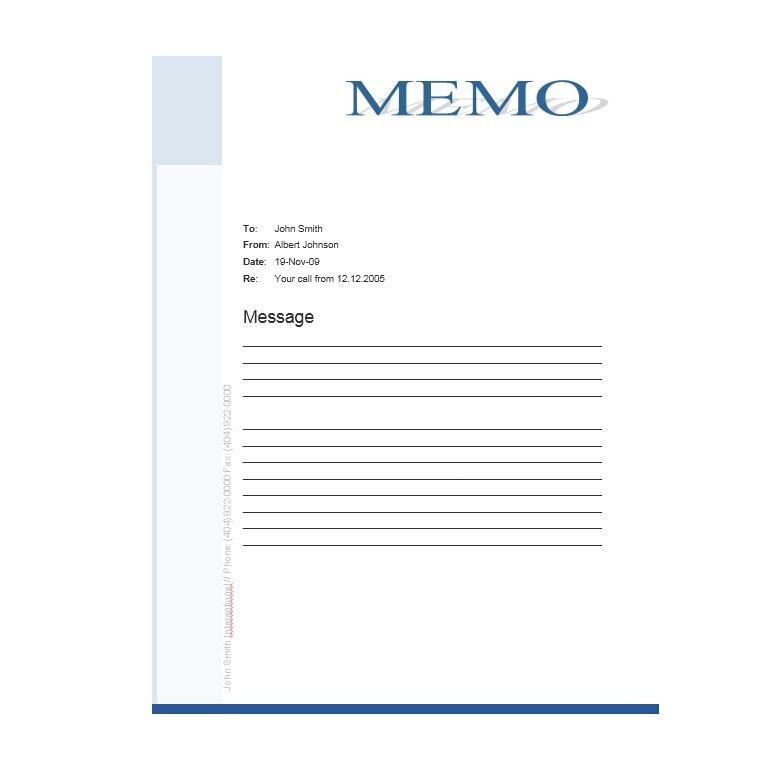 Memos are formal documents used in an office or business setting to communicate with the employees. 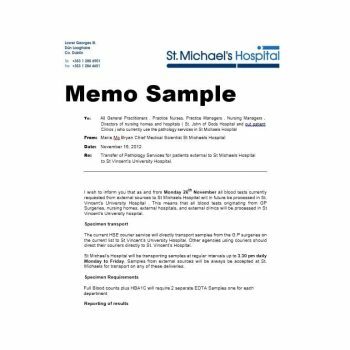 Memos are mainly for internal communication and are very rarely given to clients, customers or the general public. It can easily be made in your computer though sample memo templates, which are available on this website. 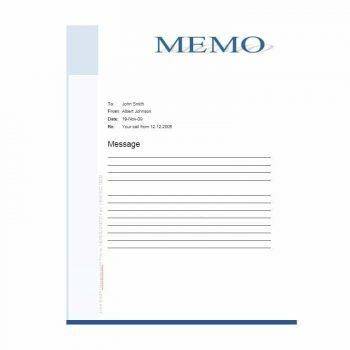 Memos can be used to give the employees information regarding upcoming events or the latest happenings related to the company, organization, business or the office. These kinds of news and events could be as simple as gatherings or fun events which are to be hosted or as relevant as an explanation for any changes which may be happening. It could notify employees about any staff promotions or movement in departments or branches. It could also be about new products, merchandise or services that the business offers or those which have been phased out. 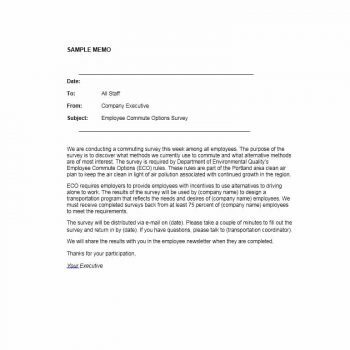 Any new information can be given to the employees through a memo. As with all organizations or businesses, issues or concerns may come up which need to be addressed especially when these concerns have caught the attention of the management. A memo can be used to describe all the details of the issue or concern to bring to light what needs to be dealt with and keep everyone involved informed. 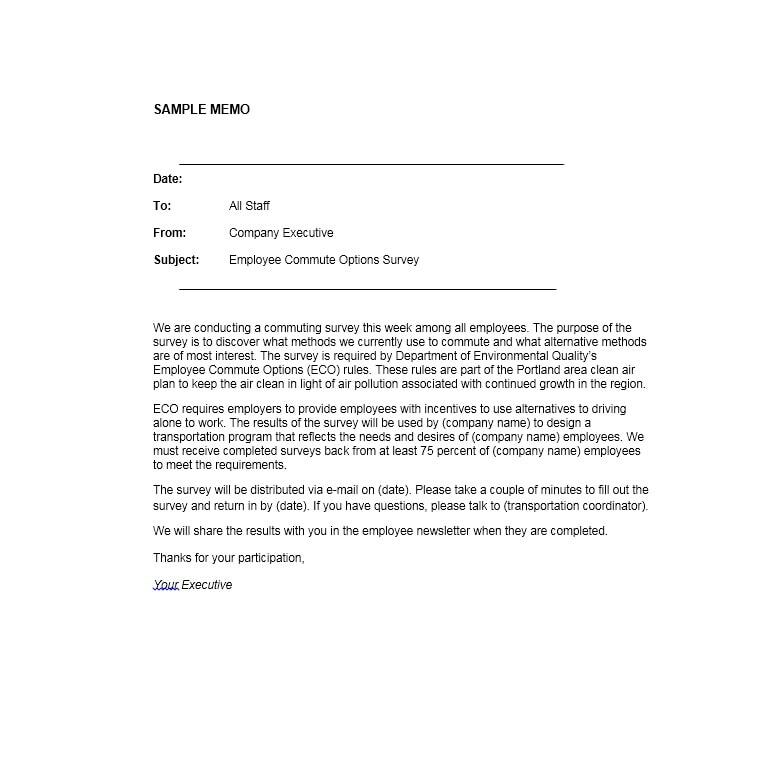 Too many absences or tardiness of employees’ can as well as employee misconduct are examples of such concerns which call for formal memos. 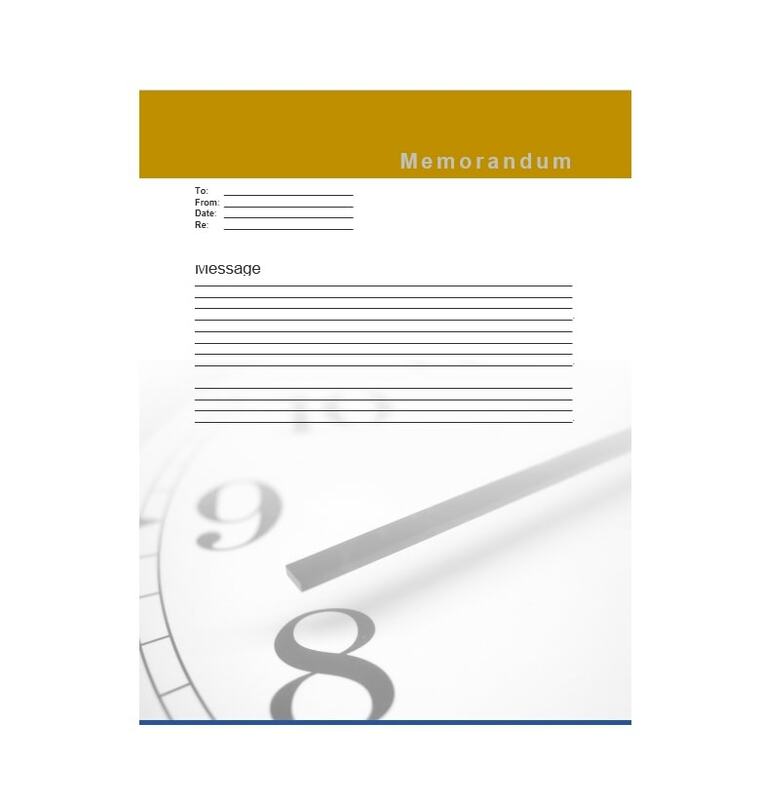 Memos can also be given to employees when the management needs to make requests from them. A request for consent or cooperation to do extra work, a request to attend important meetings or a request to make changes in work practices are some examples of memos made for making requests. 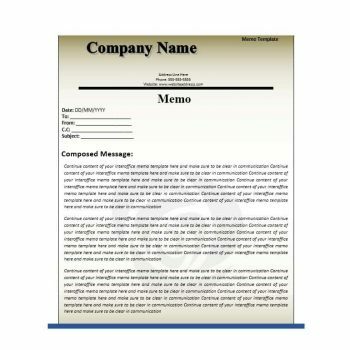 These memos must also contain any instructions as well as all the details the employee needs to be able to fulfill the request made. You can also include benefits or rewards for carrying out the action or completing the task so that your employees would be more inclined to grant your request. 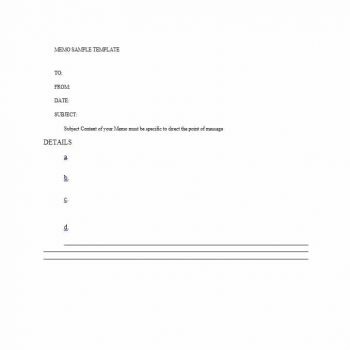 Feedback is essential in all kinds of organizations so you can use a memo to give your feedback on any products, services or even programs which have been done in the company. 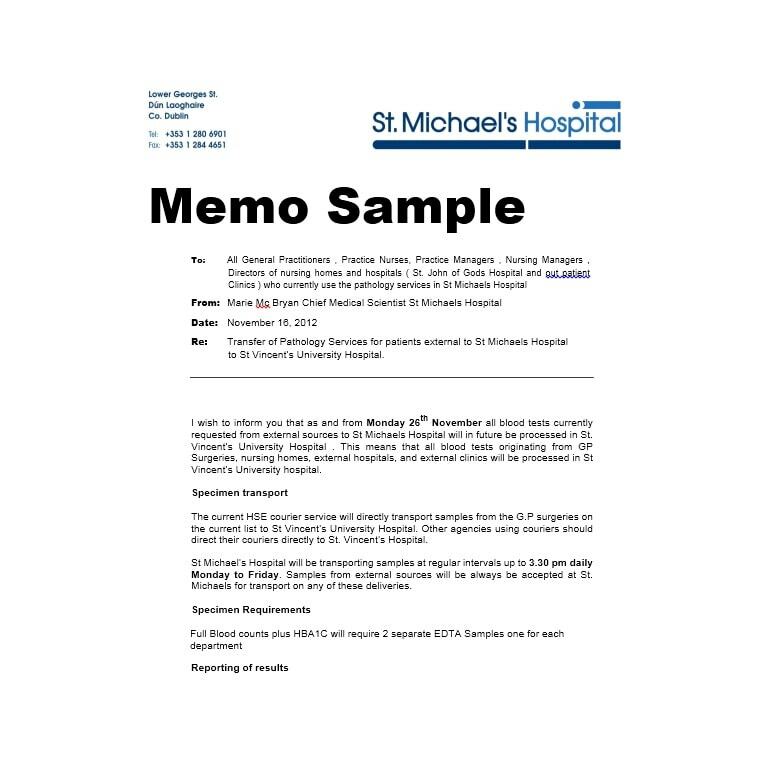 The purpose of giving a memo which provides feedback is that it lets the employees know all there is to know about the quality of the products as well as their performance. This is valuable so that employees know how to improve their performance or make changes in any products or services to make them more efficient for the clients and customers. 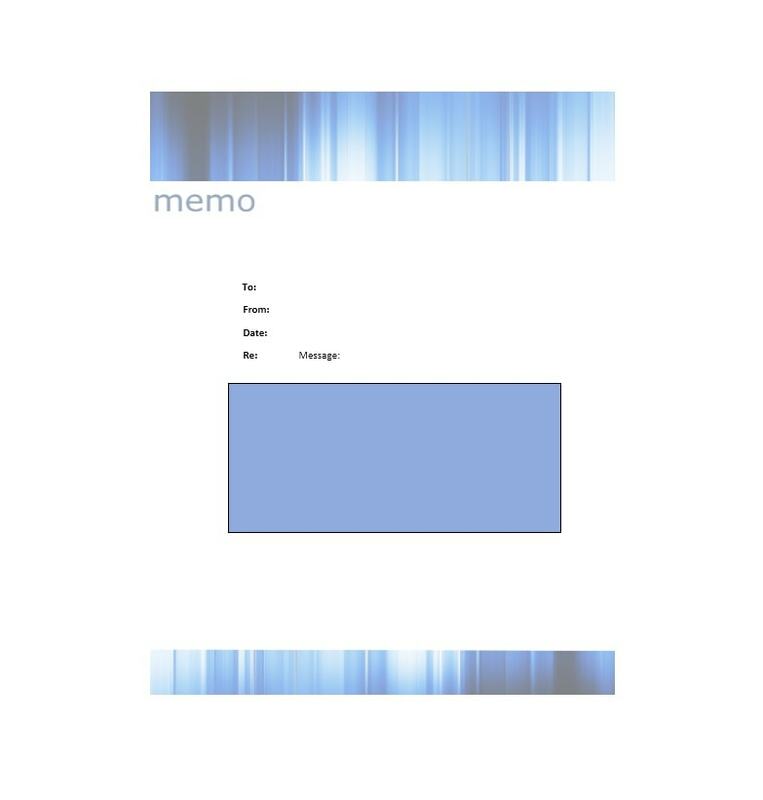 These are the most common and general purposes of a memo. 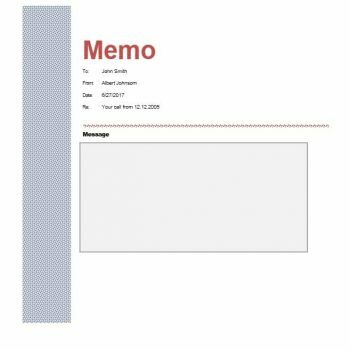 As you can see, memos really are important so you can start thinking about making your own memo template word for your business. 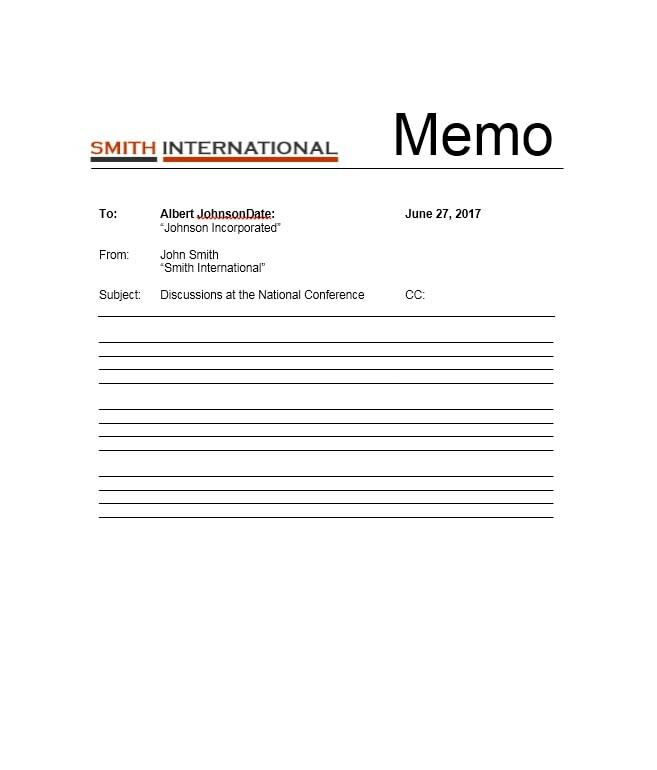 Now let’s move on to other uses of business memos. 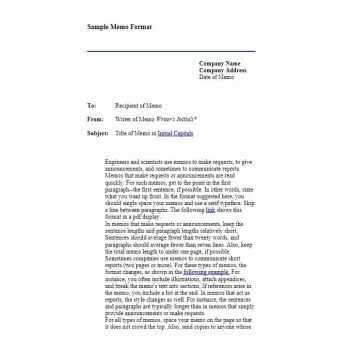 Now e-mails are more popularly used to communicate within the office, but you should not discount the fact that memos are still vital and important for more formal information which needs to be documented using hard copies. 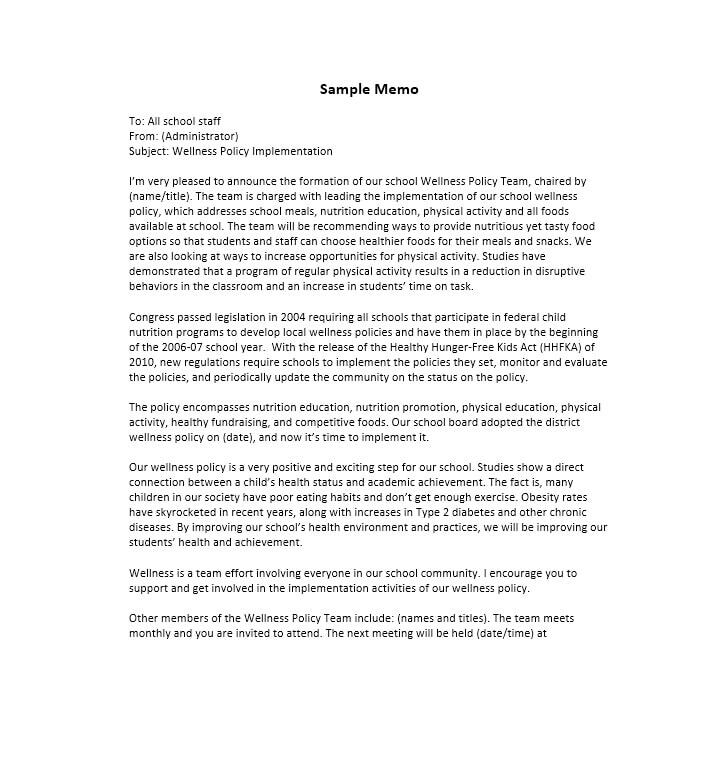 A lot of times, companies, businesses or organizations need to change their policies especially when they see that some policies don’t work or are already outdated. In cases like these, it would be appropriate to give a memo to all employees regarding any and all changes to the company. 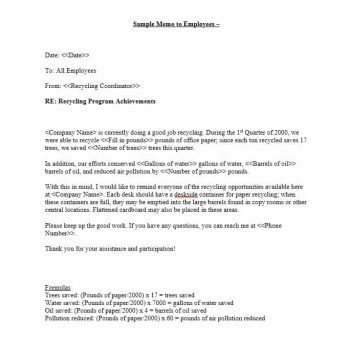 Giving out a business memo would formalize the changes and also give all the employees information on when the changes are to take place. 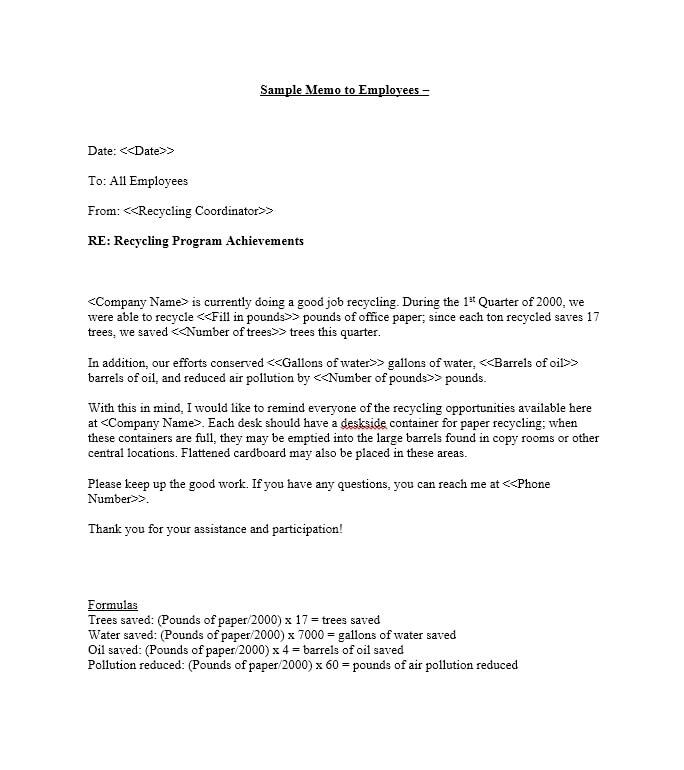 Business memos about changes in company policies can be given to all the employees and also placed in an area which is visible to all. 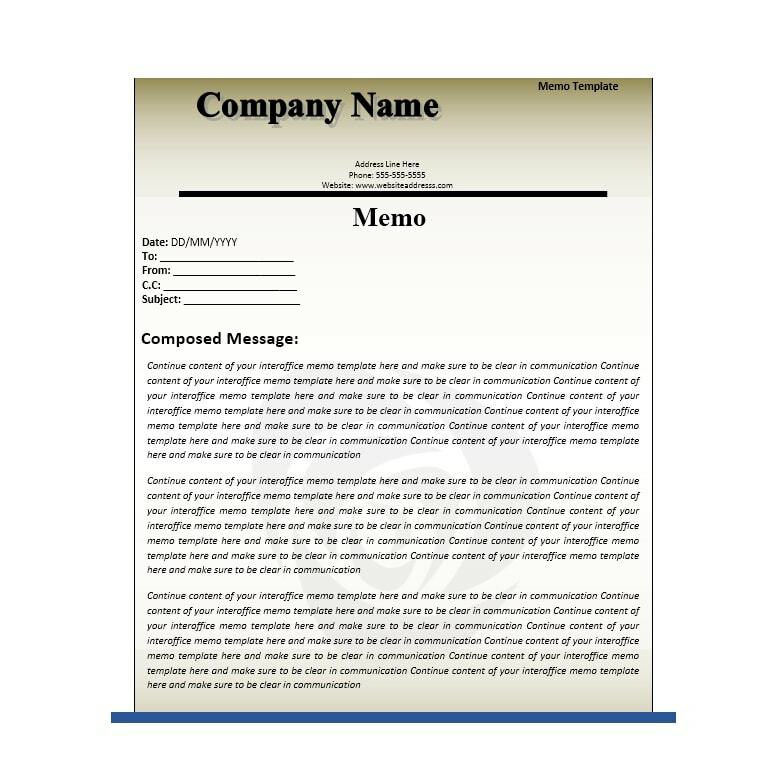 When making important announcements, such as the promotion of old employees or the introduction of new employees, giving a business memo would be appropriate. This would ensure that any important announcements not only formally announced but are also documented. 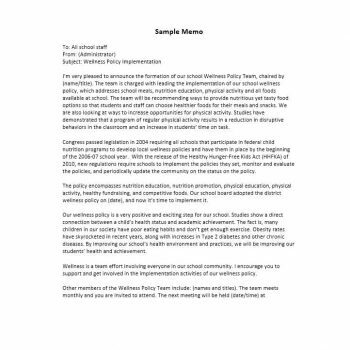 You can email announcements to make it a lot easier but you should still use a formal format when creating it. 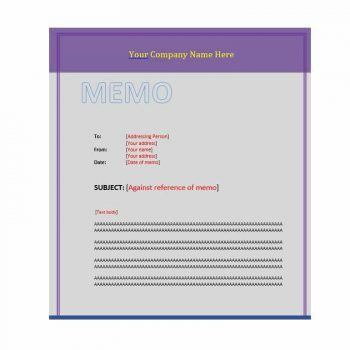 Reminders are essential in any kind of business and when there are very important reminders to be given, you can use a business memo to spread the information. Such reminders would include a task which employees need to do before a deadline or a reminder on how employees must behave inside the office or the organization. 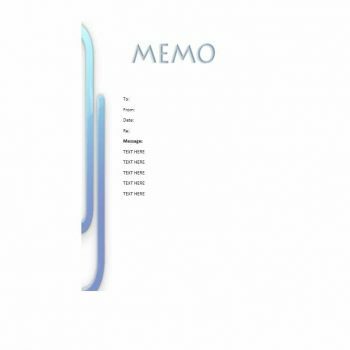 These are all the uses and purposes of memos and business memos. 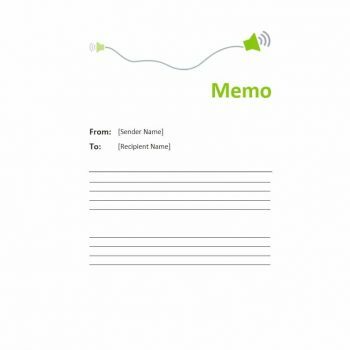 These uses should be enough to convince you that memos are crucial in companies and organizations and that you should start making use of them. 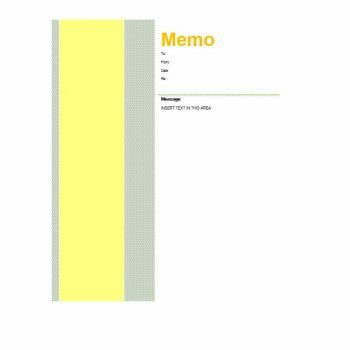 Now let’s look at the different types of memos before you start creating your own memo template. 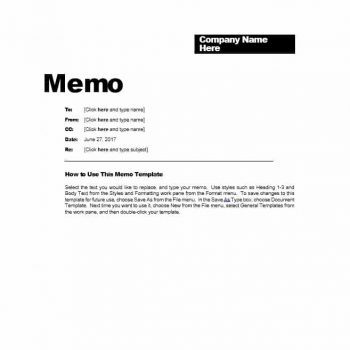 Coming up with a business memo template for your company would be a lot easier if you learn the different types of memos and all the details about them. 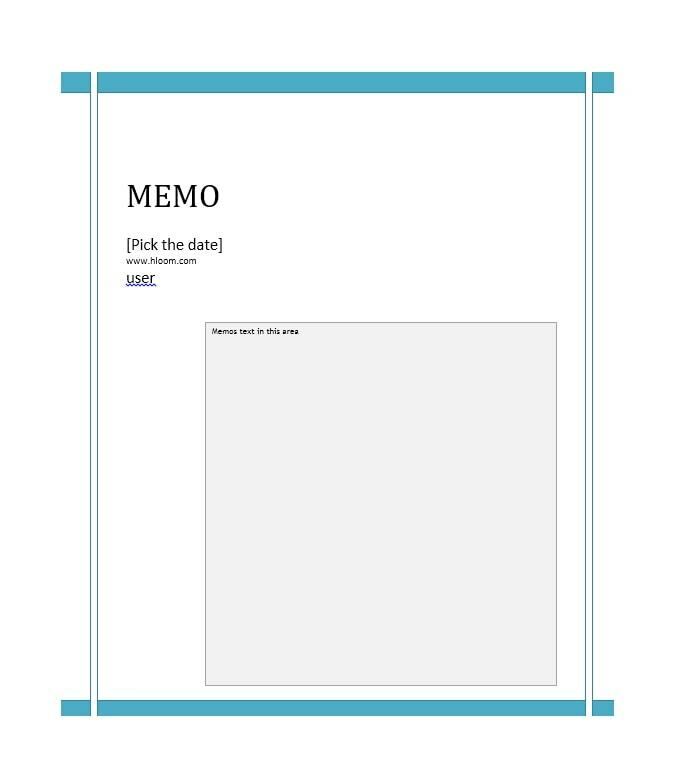 Once you know all this information, you can start making a memo template word or you can look at online resources and work with sample memo templates. The request should be stated in a clear and concise way which the reader or employees must understand. It should be stated so as the readers won’t have any questions about it. Any reasons for the request must be given too. Of course, employees must know why the request is made, otherwise, you may not get a very favorable response from them. They may not agree to fulfill a request if they don’t know why it has been made. If there are any costs or expenses involved, they must be given as well, in full detail and with the proper explanation. Any recommendation for carrying out the tasks, actions or requests must also be stated to guide the employees in case they do not know how they would complete the request. All these information and statements should be stated diplomatically to ensure that the employees will agree to the request. All the most important points which were discussed and agreed upon by both parties. You would have to be very clear and specific when stating these points. Enumerate and emphasize these points clearly so you can easily gain access to them for quick reference when you need to in the future. 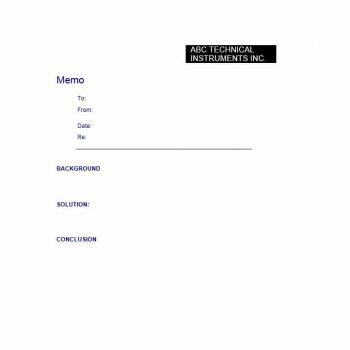 Before finalizing your memo, it would be a good idea to show it to everyone involved to encourage any feedback or to clear up any vague or doubtful points. 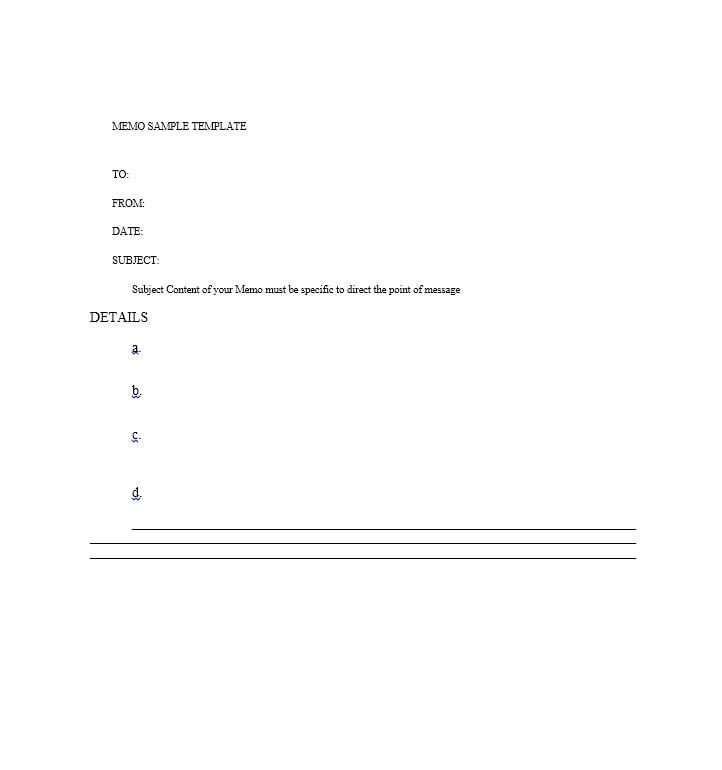 When creating this kind of memo, you’d have to make a template such as a form which just needs to be filled in so that information can just be easily entered each time. 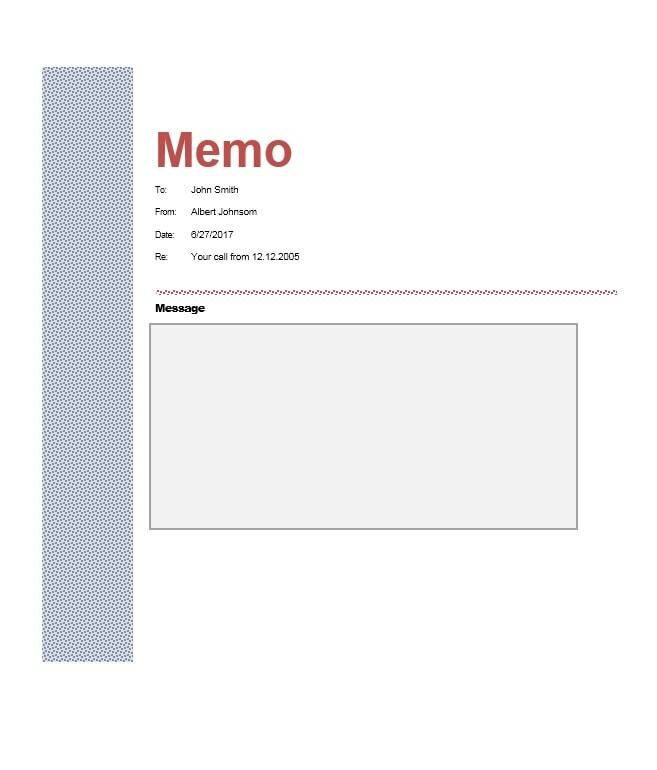 The sample memo template should be created so that it can just be reused every time the memo is due. It should also have a space for any descriptive or narrative comments, in case the need arises. 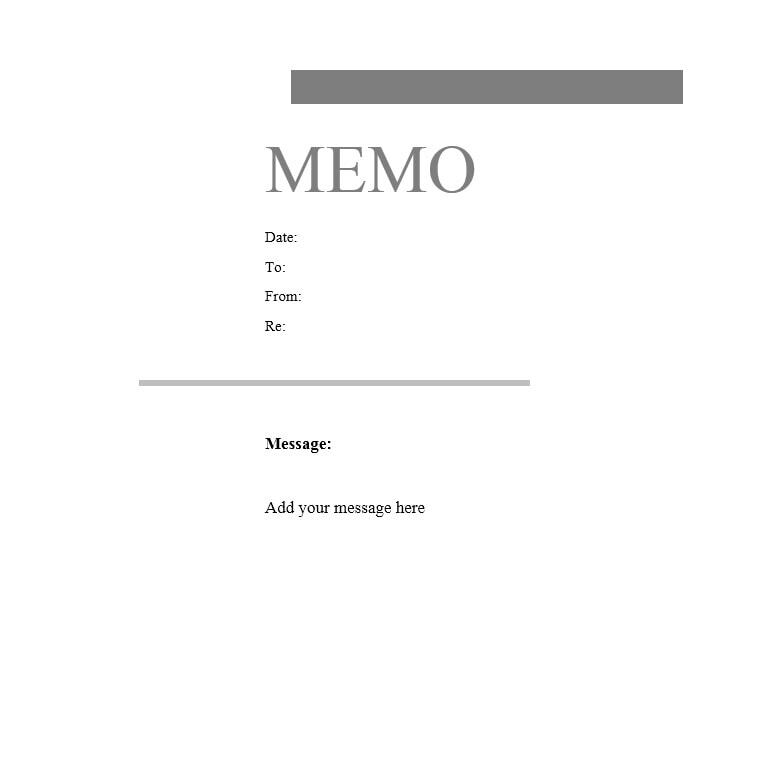 This is the easiest type of memo to use once you’ve already created the template as you won’t have to make it again and again. Always start with good comments about the situation and then offer the ideas and suggestions for changing it. 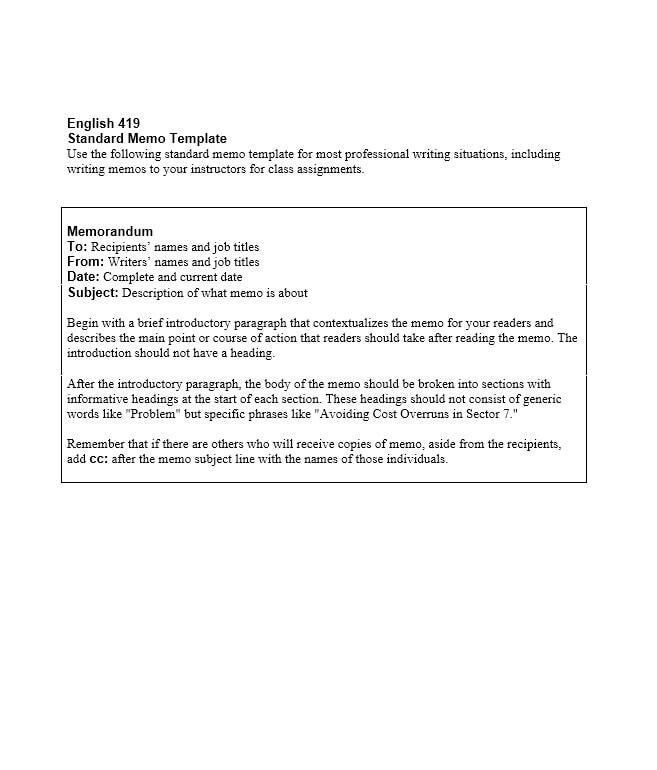 Organize the ideas and suggestions by subject and make use of headings or titles to emphasize them. Use concise statements and always go straight to the point to avoid confusion. 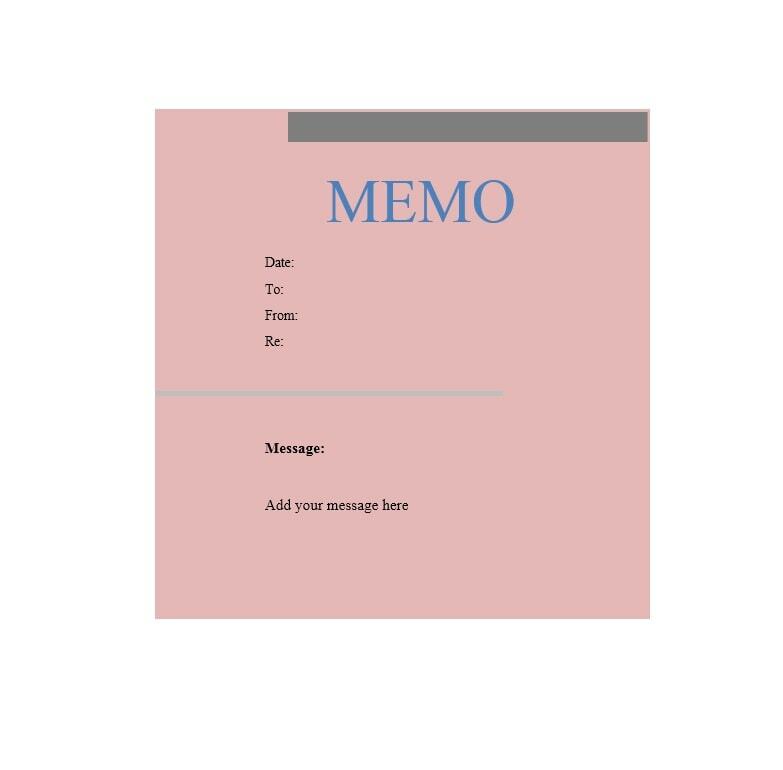 Following these tips would ensure that your memo along with the suggestions that go with it would be effective and would give a positive note to it as you give the memo to your employees. 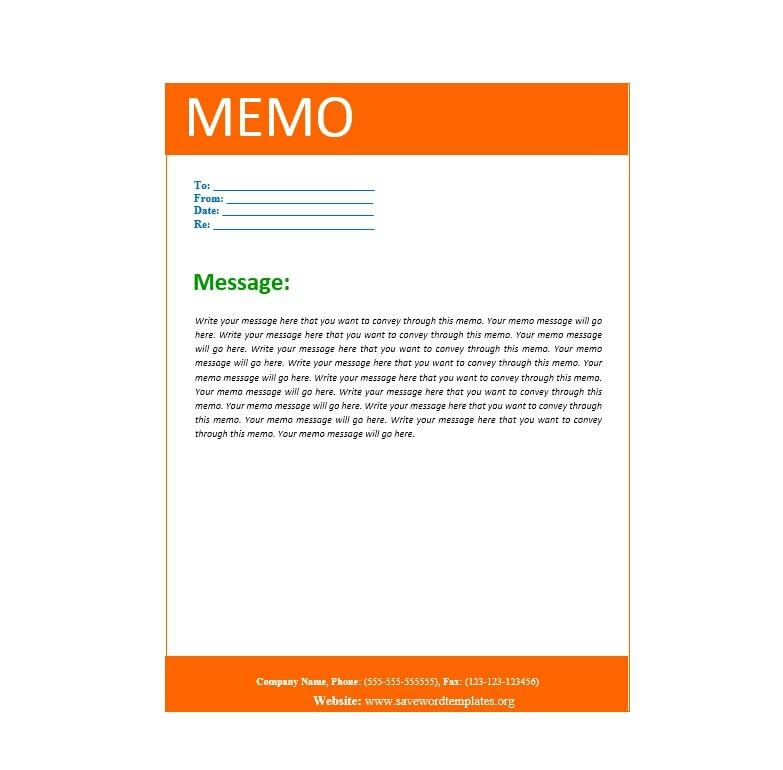 To make your memo easily readable, you can make use of headings and subheadings to highlight or emphasize certain points. 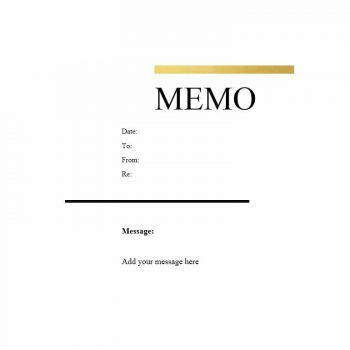 This would make your memo clear and easy to go through. 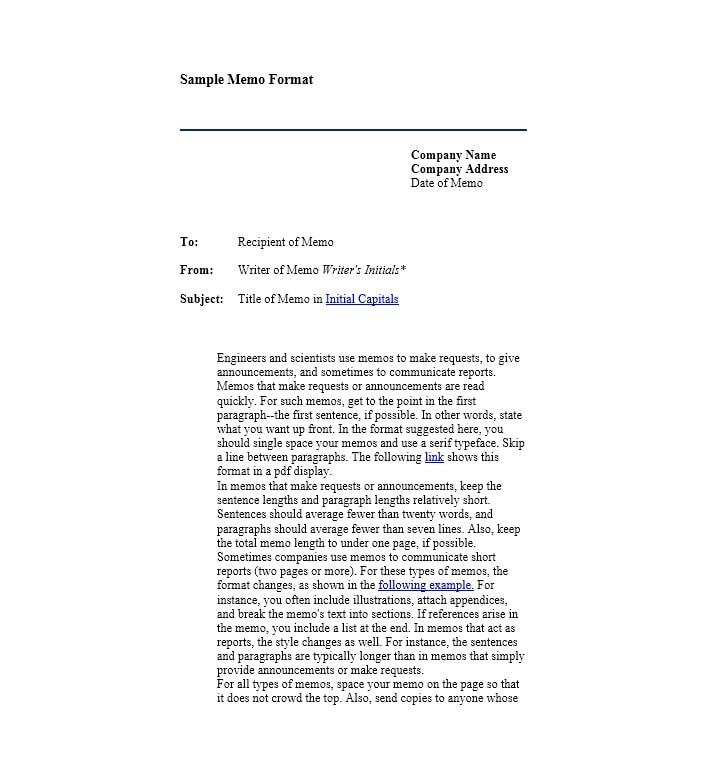 Just like all other memos, be concise and specific when stating your points, issues or concerns. 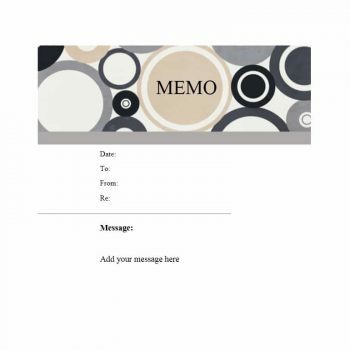 These types of memos can be written using more informal language to make it easier to read by everyone. 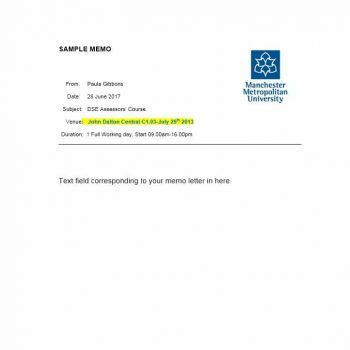 You can follow a format for these types of memos or you can come up with your own format, depending on what kind of study you are doing. 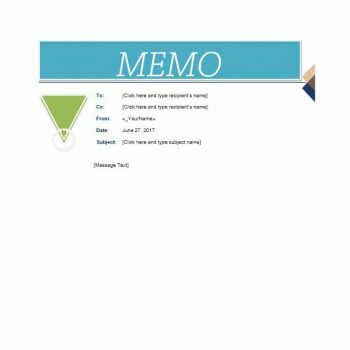 There you go, the 5 main types of memos which can be given in an office or an organization. 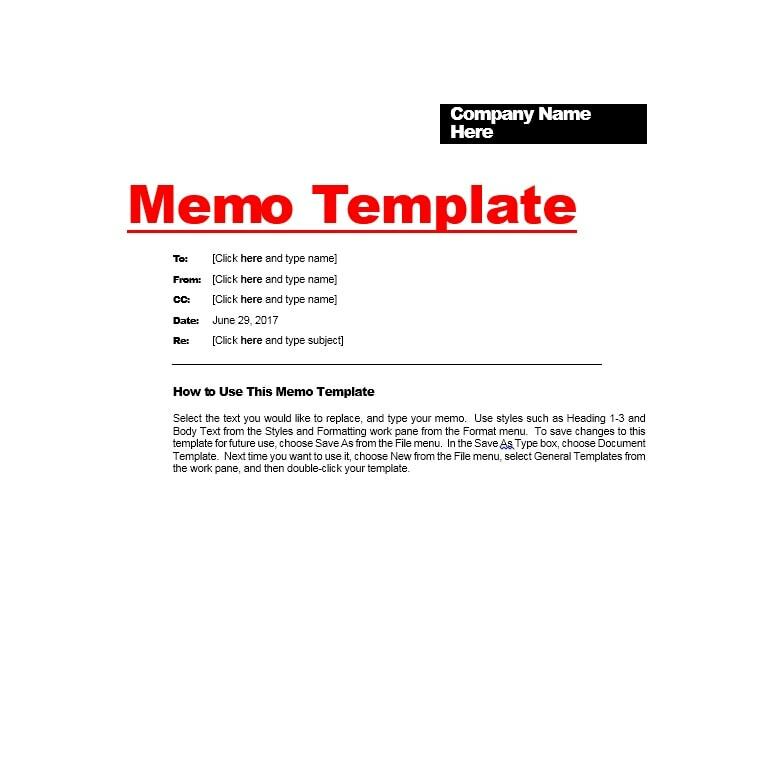 Now that you have a lot of information about memos, we can move on to creating your own business memo template, which can be found in the next section. 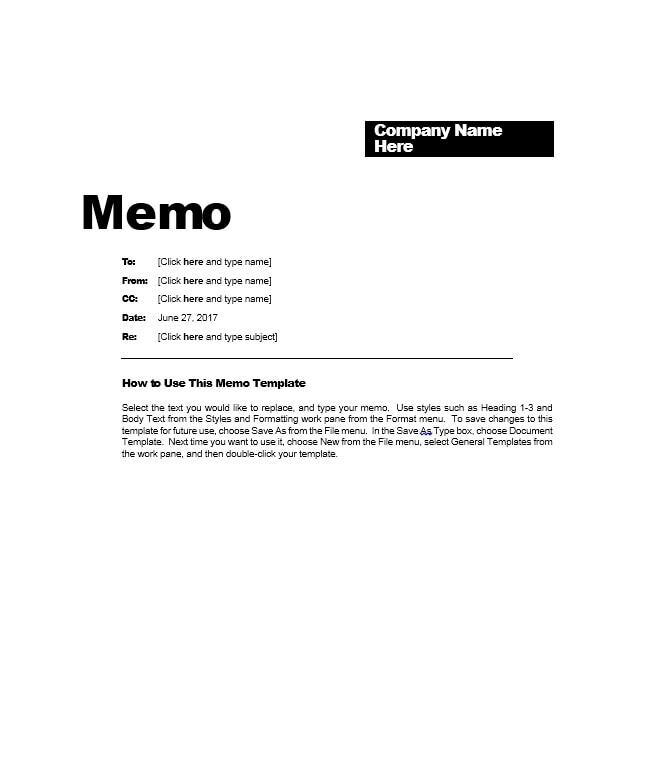 Now that you know the uses and purposes of business memos, as well as the different types, you can already start creating your own template. 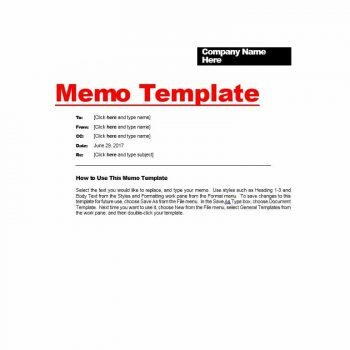 You can either start with a simple template or make others as the need arises or you can go ahead and make templates for all the different types of business memos. It’s all up to you! 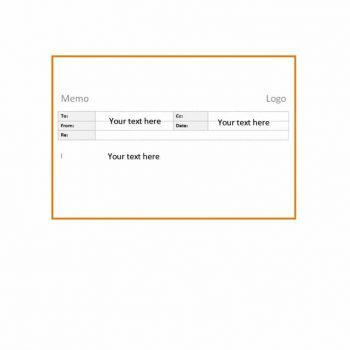 Open the software of your choice and format your page. 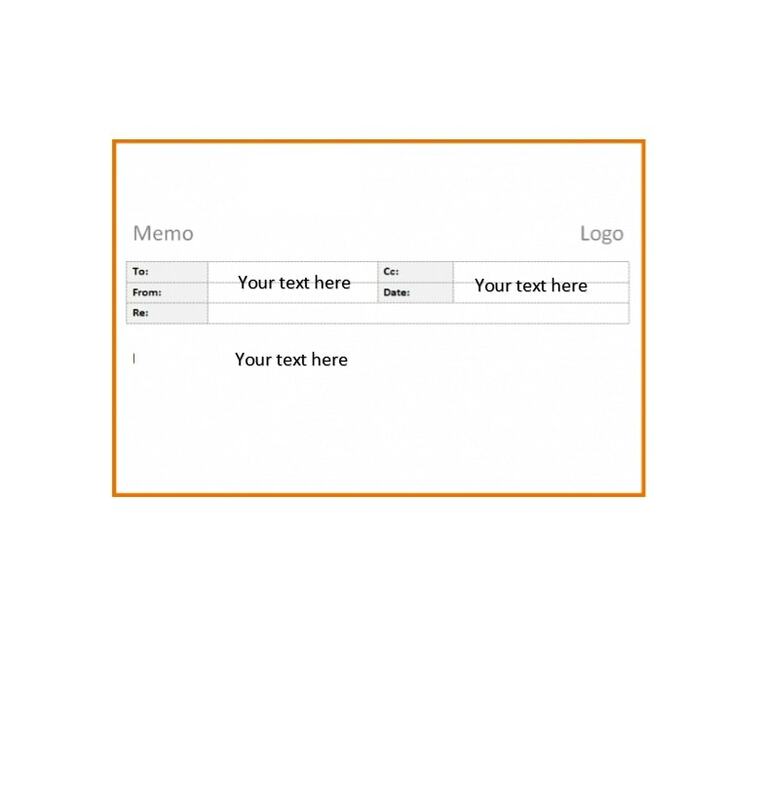 Set the margins and pick a font which looks official. 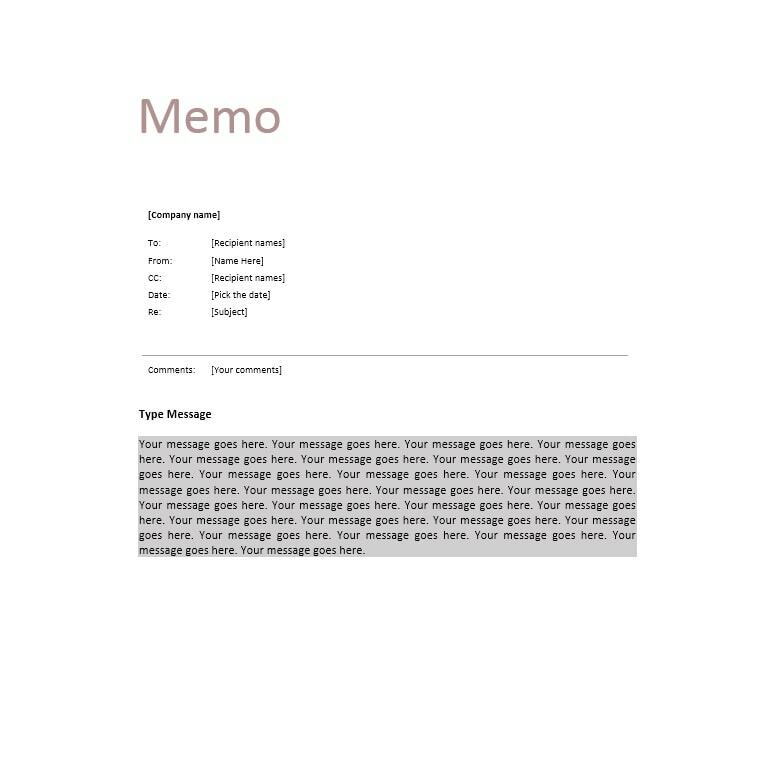 You can change font sizes when you’re editing your memo later on. 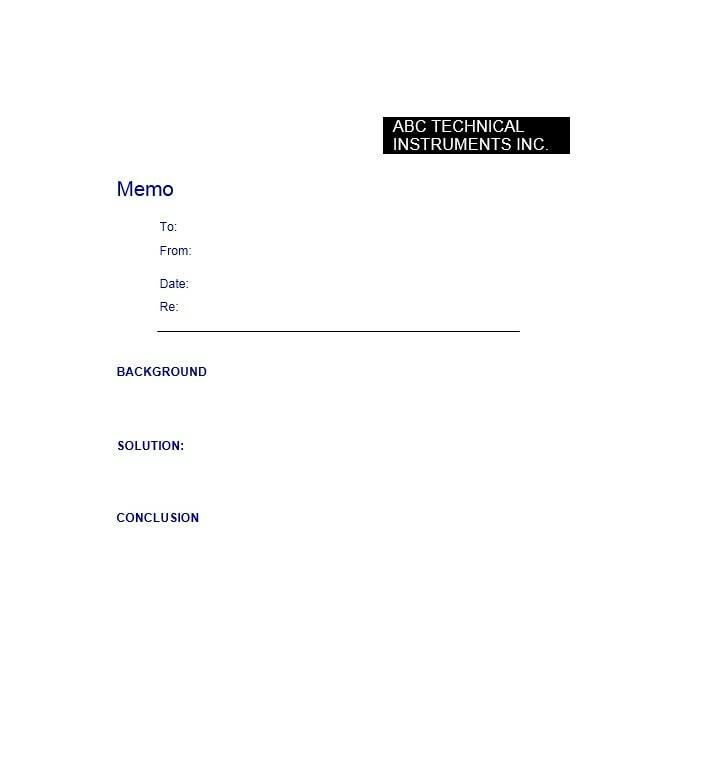 The first and possibly most important part of your memo is the heading. 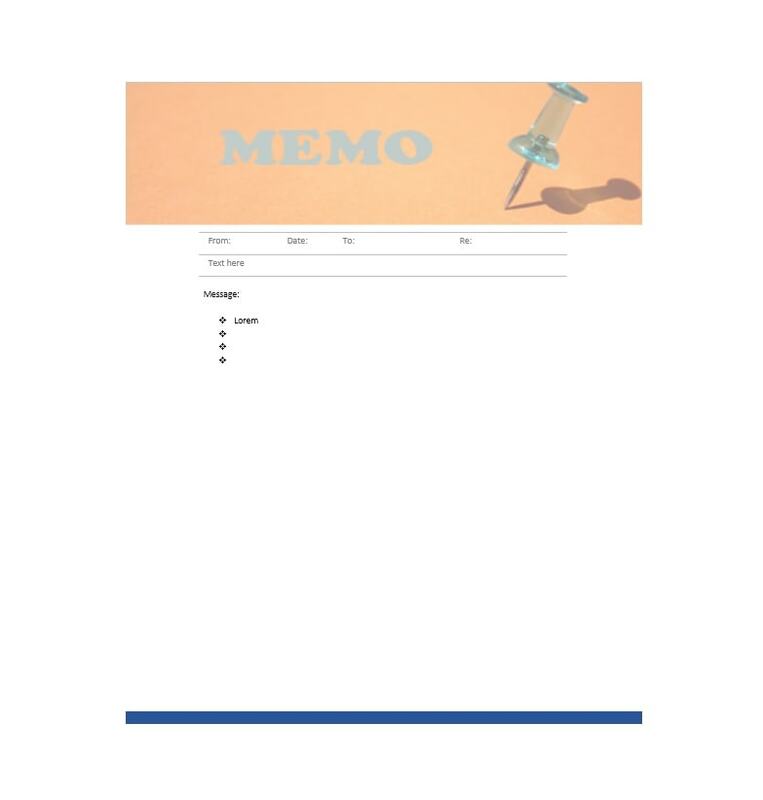 You can use the word “Memo” or “Memorandum” at the very top of your page as it would serve as the title of your document. 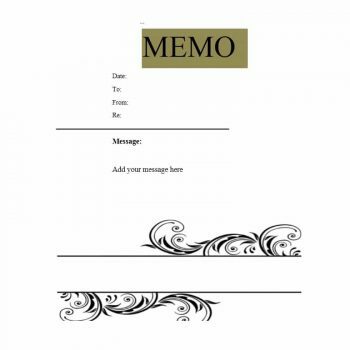 The next thing to do is address the recipient/s of the memo properly as this serves as a formal communication in the business. Make sure to use the full name/s of the recipient/s of the memo. 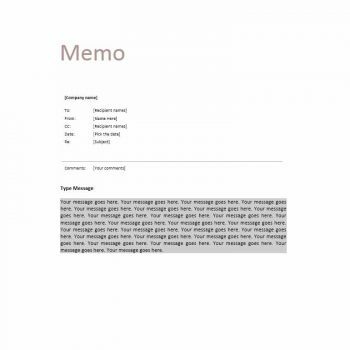 You can also add other recipients of the memo in the CC line. 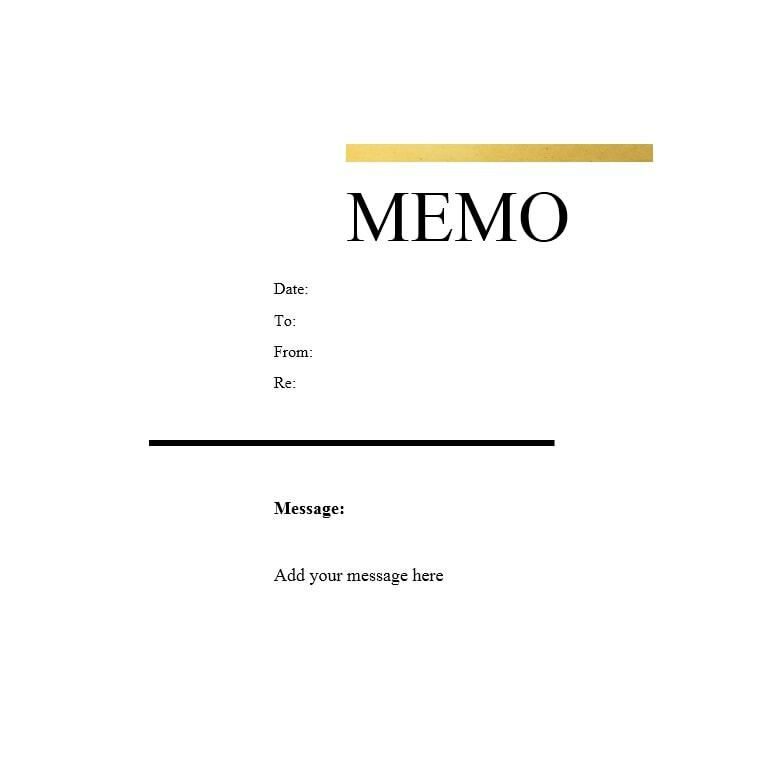 This doesn’t include the recipients of the memo but all other people who have to be informed of the contents of the memo. You would then have to write your full name in the “From” line along with your job title. 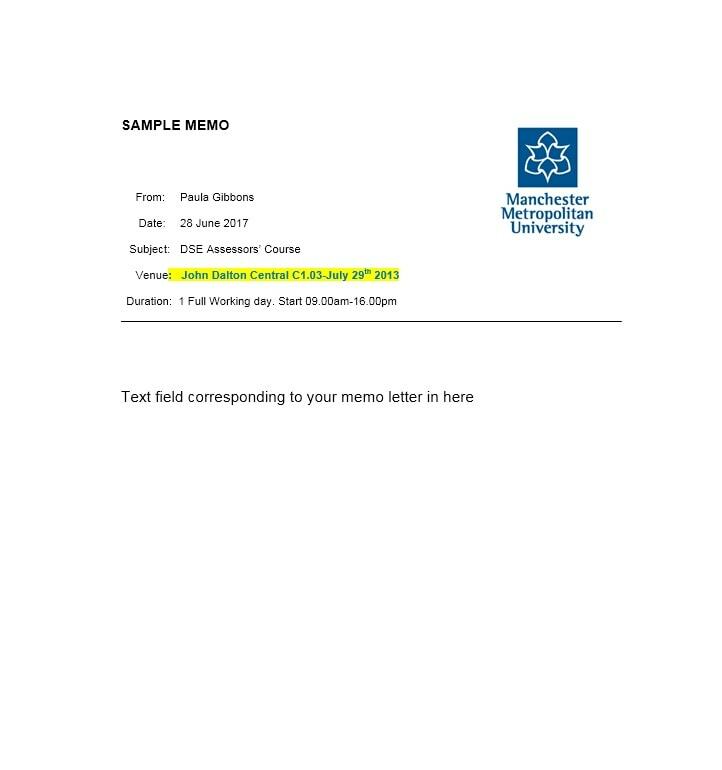 The date the memo is given is also essential so you’d have to include it. Now you have to place the subject line. 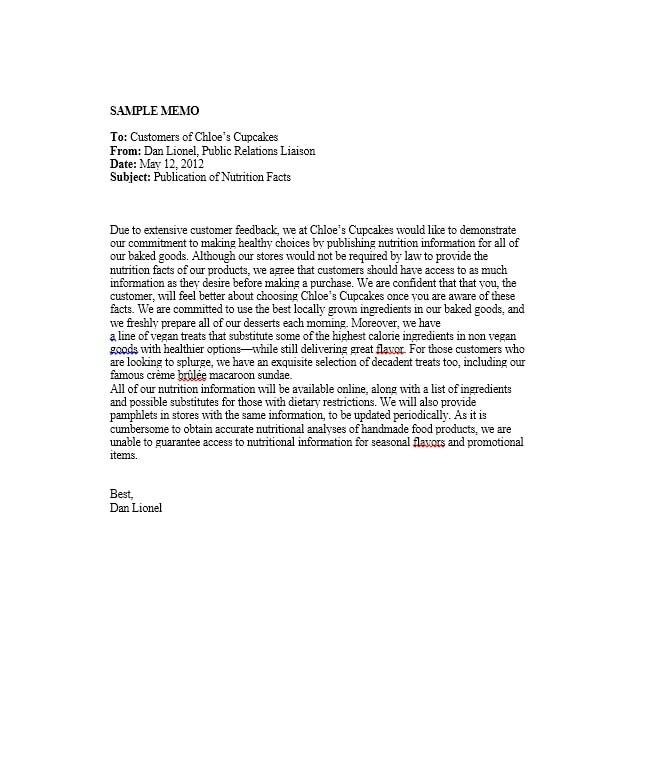 This part would give the reader an idea of what your memo is all about. All these are important parts of the heading and must be found at the very top of the page. The title should be in the middle but all the other information should be aligned at the left hand side. 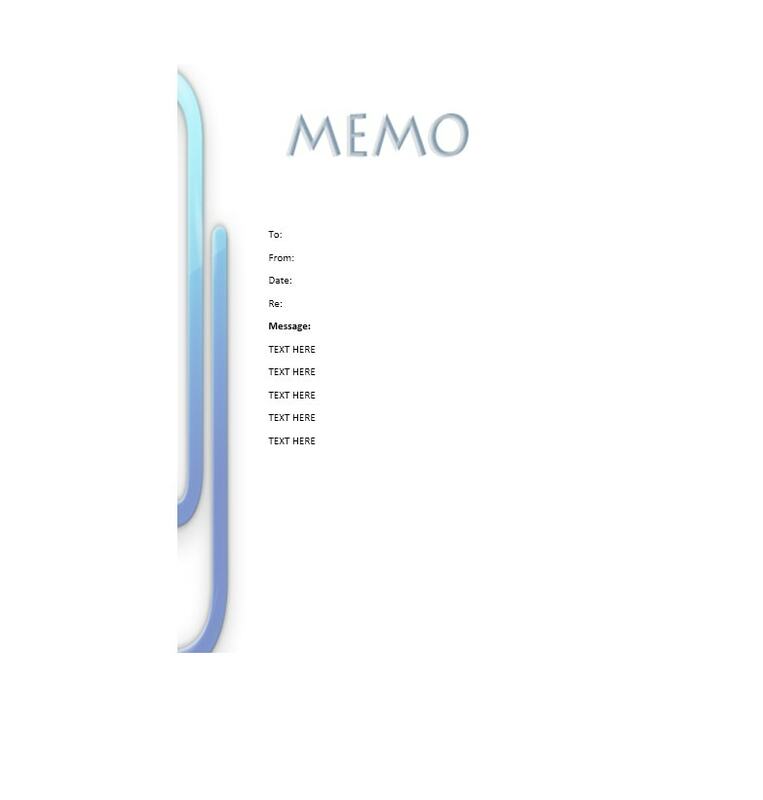 Now that you’re done with the heading, you can add a line below it to separate it from the body of your memo. 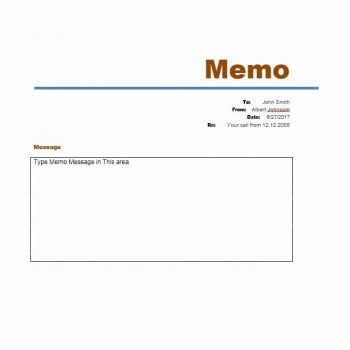 Before you write the body of your memo, think about your recipients and your audience. Think about the issues, concerns as well as any questions which the readers might have so you can address them all in your memo. 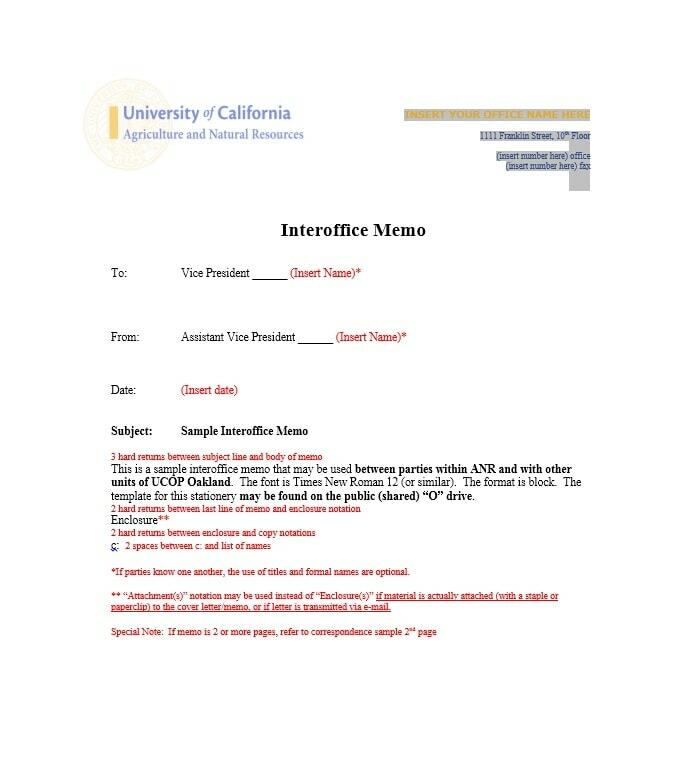 You don’t have to place a formal greeting in a memo. 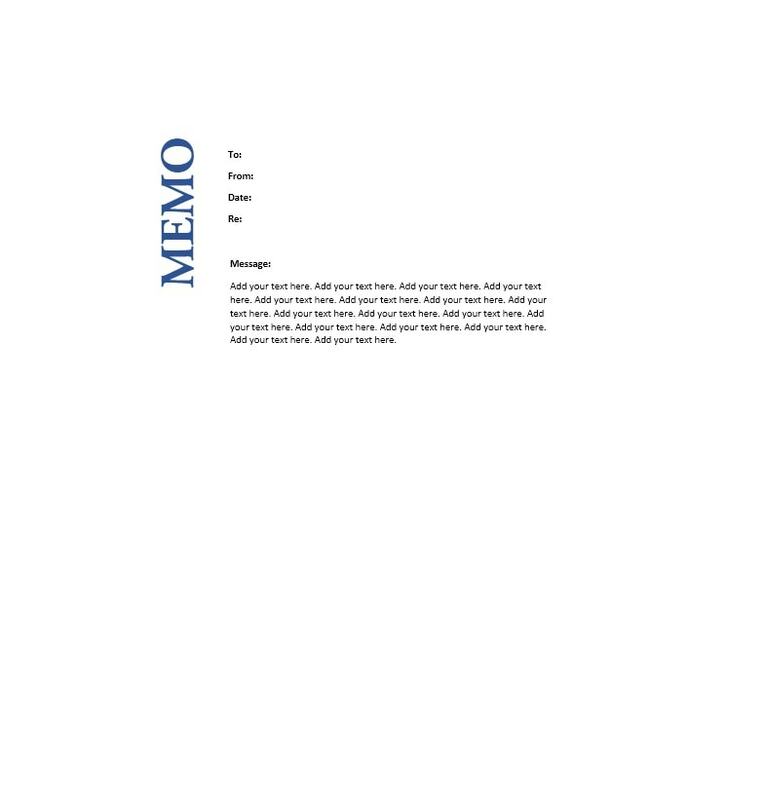 You can immediately introduce what the memo is all about in the very first paragraph under the heading. After the introduction, you can go on to discussing the whole issue along with any background information about it but remembers to be brief and concise. 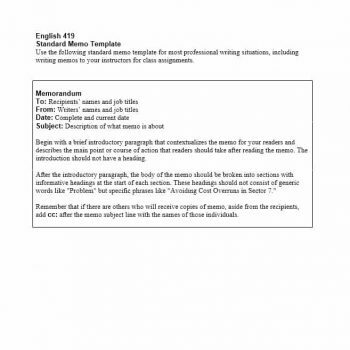 Give a detailed summary of the most important points – you can use subheadings and headings to emphasize points if you wish. 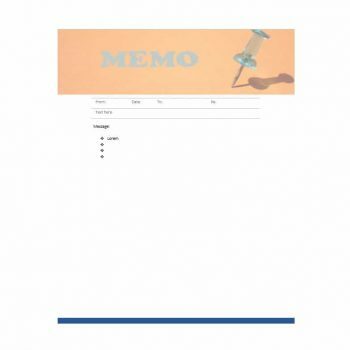 For longer memos, you can even include lists, graphs or charts as long as you get your point across and you’re sure that the readers will understand everything. 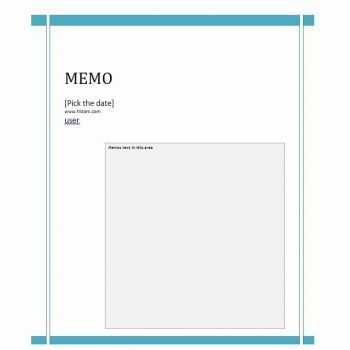 Write down all the relevant information regarding the memo, no matter what purpose you have for making it. 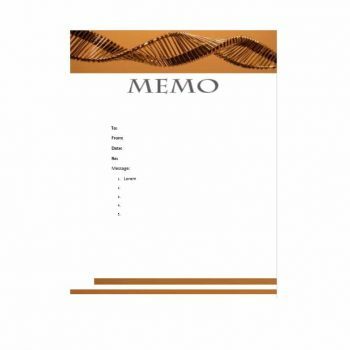 Finalize your memo by ending it on a positive note. Once you’re done with it, you can format your memo to make sure that it is readable and well spaced. 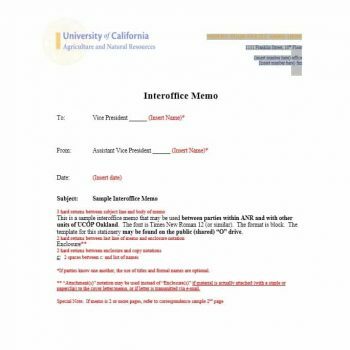 Also, make sure to proofread your memo in order to see if you’ve made any mistakes. Print out your memo on an official letterhead of your company or organization and when it has been printed, write down your initials by hand. This would personalize it as memos don’t usually have a space for signature. 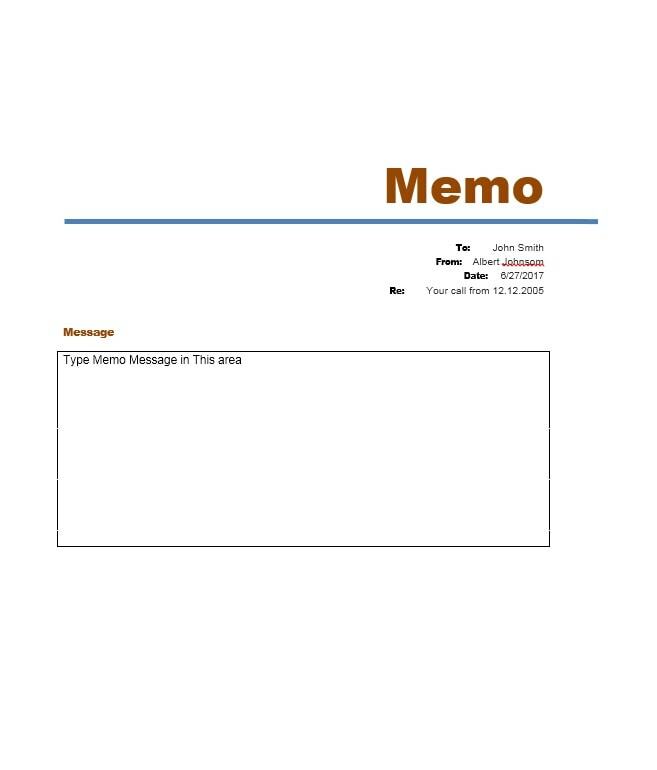 Writing your initials next to your name would indicate that you’ve approved the memo. 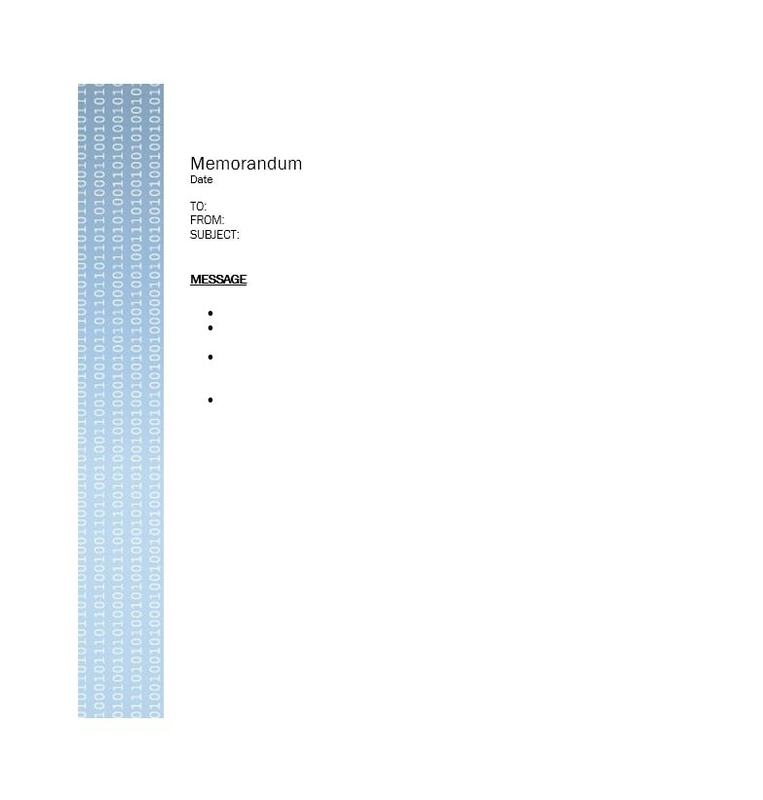 Once that’s done, all you have to do is choose your method of spreading your memo!